Present Status Gone. Burned 1848. Present Status Gone. Burned 1880. Present Status Gone. Burned 1890. Building Materials/Description $350,000, Pecos red limestone and Arkansas gray granite, 2-ton bell, 205′ tower. Large 3 1/2-story structure of red sandstone and rusticated blue granite. Castellated and Richardsonian influences; round arches. Features round turrets, an original square central tower, and terra cotta gargoyle acroteria. Clock and bell tower removed in 1919 due to structural weakness; major interior modifications in 1968 and 1978. 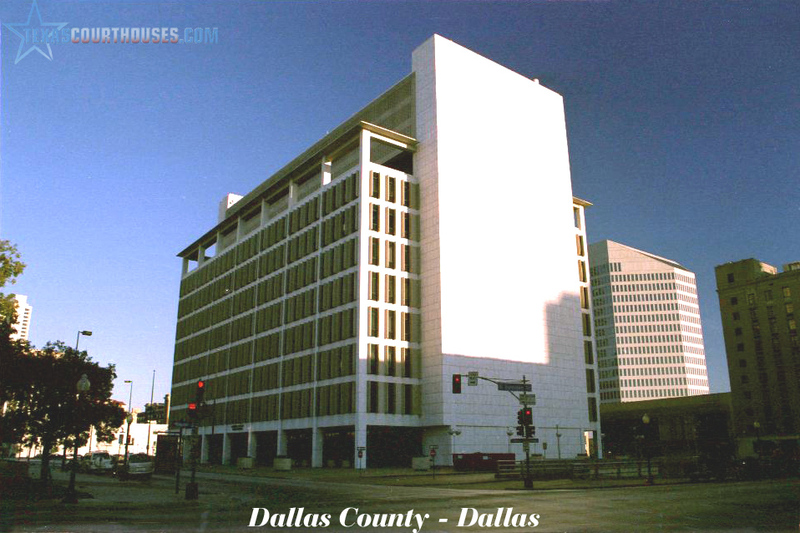 Exterior restoration in 1987, Dallas County government moved out in 1990. Affectionately referred to as Ol’ Red or Big Red. The Dallas County Courthouse, a massive structure of contrasting blue granite and red Pecos sandstone, was built in the Romanesque Revival style. The primary architect, M.A. Orlopp, was born in Brooklyn, New York, to German immigrant parents. In June 1881, Orlopp graduated from the United States Naval Academy, and spent the next four years surveying railroads for the United States Corps of Engineers. At the time of his commission the Dallas Courthouse he was practicing as a principal in the firm of Orlopp and Kusener of Little Rock, Arkansas. Originally the building was dominated by a massive central tower 205 feet in height which, at the time of its erection, made it the second tallest building in the state. It housed four clockfaces and a 4,500 pound Howard bell. In February of 1919 a structural failure forced removal of the tower. Otherwise the exterior largely retains its historic character. Rising from a one-story base of blue granite from Arkansas, the succeeding stories are of red Pecos sandstone enhanced by contrasting stringcourses and window enframements of the lighter stone. The masonry is strongly textured and features the heavily arched openings characteristic of the Romanesque. The entrances are supported on marble columns from Burnet. Eight circular turrets are dominant visual elements of the building as it now stands. At two elevations projecting pavilions rise to triangular termination lacking only the small flanking spires with which they were originally adorned. Originally each elevation featured a four foot terra cotta griffin from the Indianapolis Terra Cotta Company as adornment. 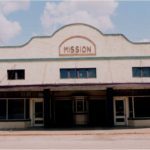 Only two remain, one in its historic position, and the other preserved in the Dallas Historical Commission’s archives. The interior retains many of its historic features. Marble wainscots appear throughout and many cast iron decorative and structural features are still extant. Several major renovations have occurred; the first on November 4, 1915, when the Woerner and Cole firm was allocated $60.00 for drawing plans detailing the installation of electric lights. In November of 1968, the firm of Mollat D. Adams undertook improvements of lighting and plumbing facilities and the installation of two staircases and a new elevator. The contract for renovation was awarded to the Jansen Company at a cost of $13.50 a square foot, with a $584,000.00. Despite these modifications the quadrilateral layout typical of Texas courthouses of the period is preserved along with much of the original character of the exterior. The Dallas County Courthouse has been described as “second to none in the South, a building to reflect the wealth and enterprise of the states’ leading county.” It is certainly one of the more significant Romanesque Revival structures in Texas. The historic Dallas County Courthouse has regional architectural significance. One of the largest Romanesque Revival buildings to be erected in the state, it is also one of the most handsome. Good proportions and interesting massing with cylindrical forms juxtaposed against rectangular forms all contribute to the strength of the architectural statement. The use of arched openings of various proportions is successfully unified on the two narrow facades by twostory arcades comprising dominant central features on each elevation. Noteworthy details further contributing to the visual impact of the design include archivists in strong relief, slender engaged columns flanking the openings of the upper stories, and decorative tympanums in the two-story range of arches. While the use of stone from state quarries provides local association, the stylistic details are consistent with Romanesque buildings found in other sections of the United States. The block on which the 1891-92 courthouse is located has been the site of the nucleus of county government since the founding of Dallas. The first settler of Dallas County was John Neely Bryan, who established himself near the present courthouse square in 1841. 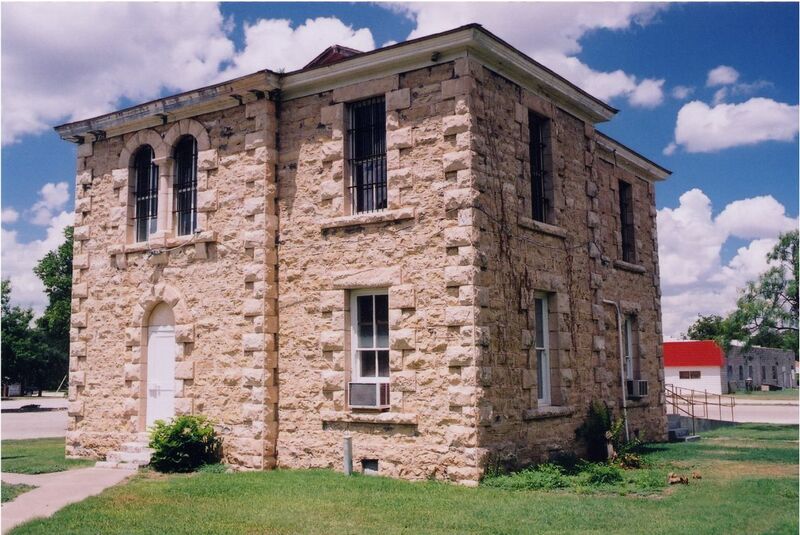 The area was incorporated as Dallas County by an act of the Texas Legislature on March 30, 1846. For a time Bryan’s log cabin housed the county court under the jurisdiction of Judge John H. Reapan. The first permanent courthouse was a log cabin described as being sixteen feet by sixteen feet with a puncheon floor and split log seats. It was located on the northeast corner of the square. The cornerstone for a fourth courthouse was laid in October, 1871. The building, to be constructed of “hard granite” from a quarry six miles east of the city, was two stories in height, and 66 feet by 110 feet. It cost $75,000. In 1880, a fire partially destroyed the building. The walls were, however, left intact and remodeling was accomplished with the addition of a Mansard roof and central tower at a cost of $80,000. The building burned once again on February 15, 1890. Architect, M.A. Orlopp of Little Rock, was employed to prepare drawings for the construction of a new courthouse. The project was let to contractor R.L. James on July 23, 1890, for an estimated cost of $276,967.50. The cornerstone block of blue-grey granite, was laid on November 16, 1890. Construction was subsequently halted by a labor dispute in which unskilled laborers struck for a wage of $1.25 an hour for a ten-hour work day. On July 20, 1891, James was relieved of his duties by the commissioners’ court which ordered his name chiseled off of the cornerstone. The Fort Worth Daily Gazette for that date reported that “the labor element is delighted, as James paid no attention to their demands, and hired union and non- union labor as best suited him.” A further source of controversy was a high board fence surrounding the construction site. Having been denounced repeatedly by the Federation of Labor and Farmer’s Alliance, it was removed after James’ dismissal. Architect Orlopp was retained as architect and job superintendent at a salary of $2,000 after a $10,000 performance bond was posted. The building was occupied in the winter of 1892. Its finished cost was $59,140.00 more than the original estimate. Although a new structure has been built, the Romanesque Revival temple continues to serve the functions of county government.